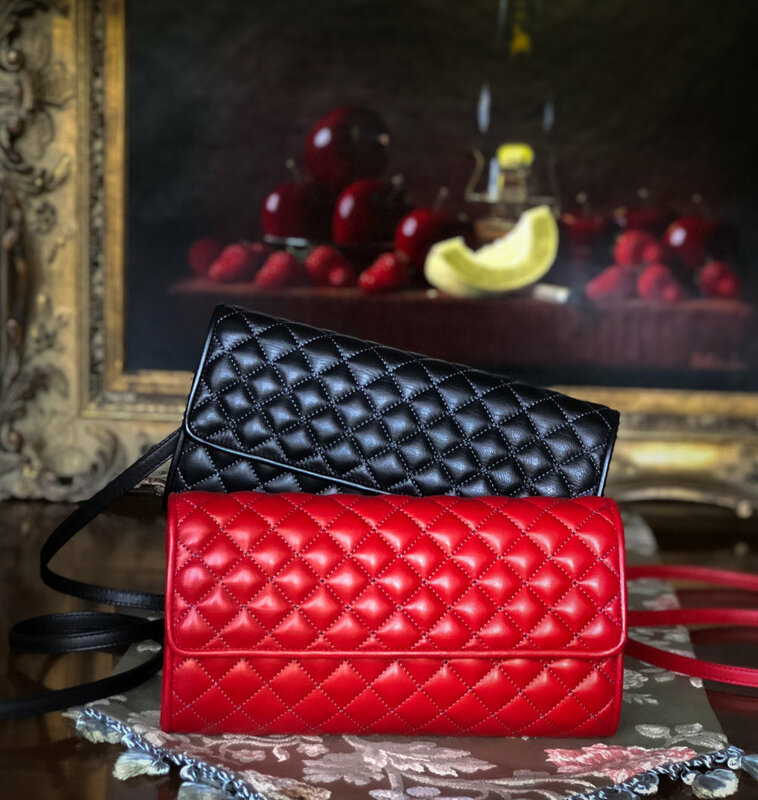 Buttery lambskin woven into a houndstooth pattern creates a classic, versatile clutch for day or evening. 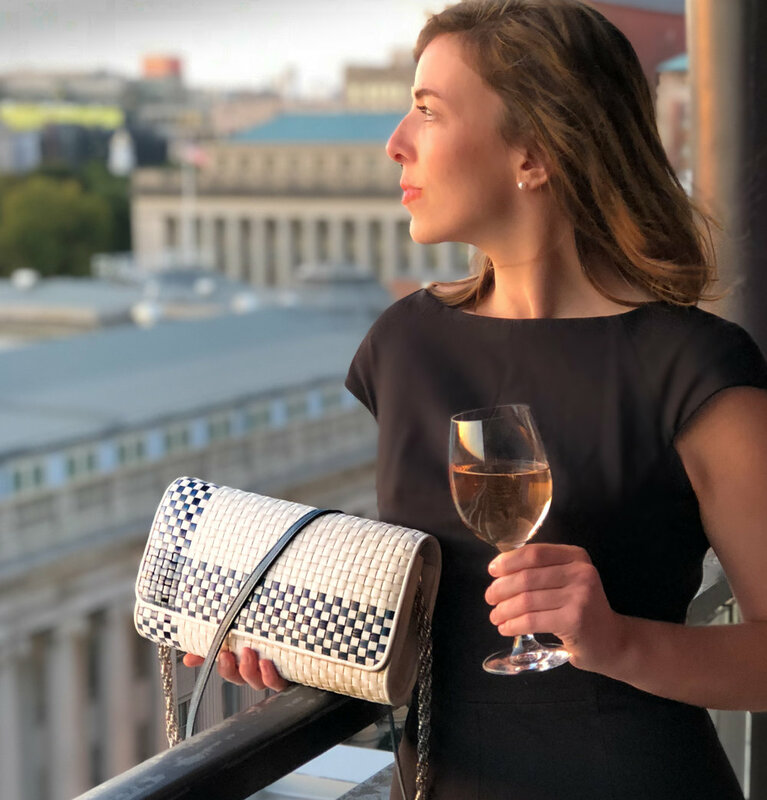 Hand cut French tipping gives an elegant, top-of-the-line look, and the black & white houndstooth pattern created by weaving the leather, makes this bag a classic! 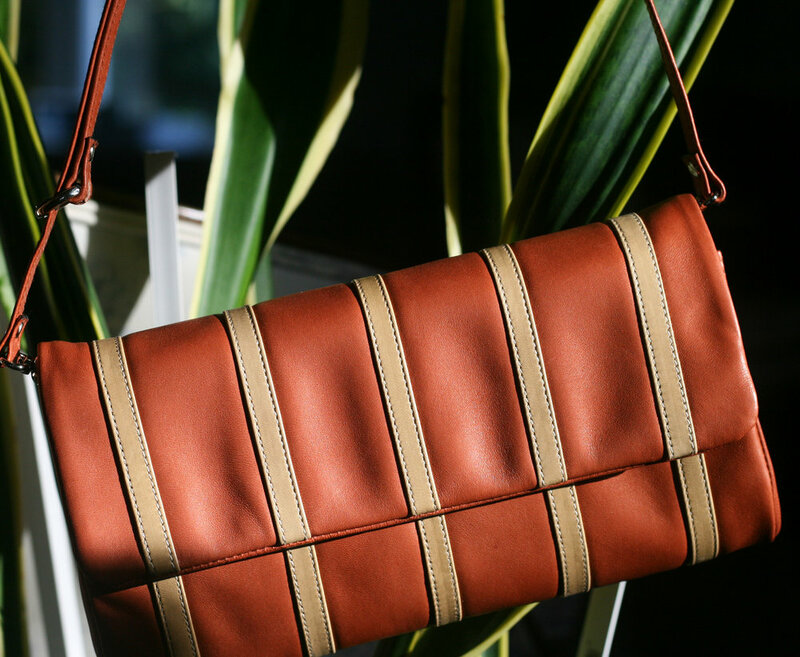 Nickel hardware, suede lining and interior zip pocket Complete the look. 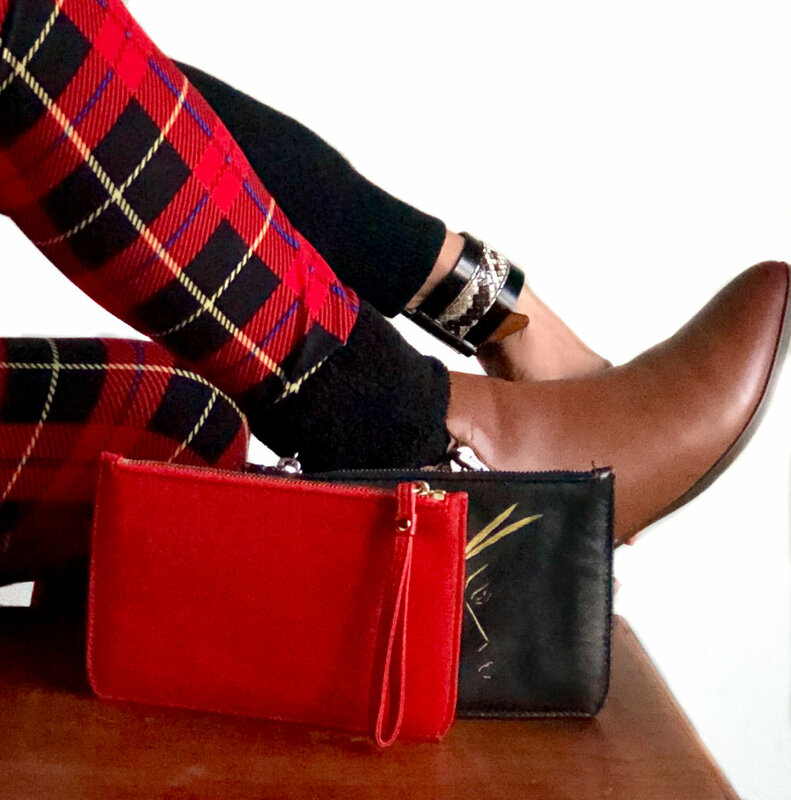 Removable cross-body shoulder strap.